Rare disease tweet chat: how can rare diseases gain more media attention? 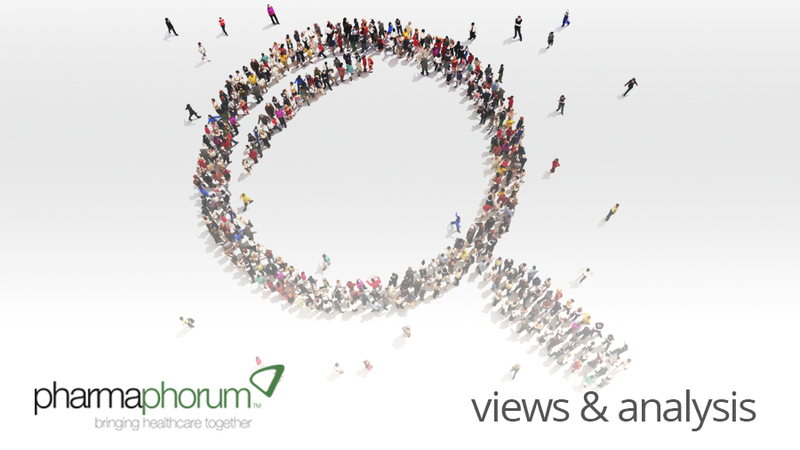 Rebecca Aris highlights the recent tweet chat on the topic of rare diseases hosted by pharmaphorum. On Friday 1st February this year, pharmaphorum hosted a tweet chat on the topic of rare diseases. Many rare disease patients came together through this social media channel to discuss topics in this space. This article details some of the responses and themes that arose. How has social media affected rare disease patients? • Information via social media is power for rare disease patients. • Social media has provided an amazing opportunity for rare disease patients to find each other and share support. • Social media allows patients the opportunity to engage with companies who are developing drugs for rare diseases. • In Wilson Disease group, someone newly diagnosed from the UK posted a question and got replies from people in five countries in approximately 36 hours. • Social media has given people with cystic fibrosis the tools to put real pressure on public healthcare systems to fund new drug. So it seems that social media offers information, a platform to connect, support and access to global communication – instantly. • Patients need full disclosure of clinical trial to evaluate the risk verses quality of life. • In some cases the patient has no other alternatives for treatment. Patients are clearly quite clued up when it comes to resources in this area. They naturally still express concern over the fact there is often no alternative treatment option, and they want to be as informed as possible. How can we raise awareness of rare diseases? • One tweet, one post at a time. • Sharing the simple fact that collectively rare diseases are not rare. One in ten Americans lives with a rare disease. • Need high profile media attention. • Increased interaction between all relevant stakeholders from patients to regulators. So how can we gain media attention in this area? The question remains and given the fact that collectively rare diseases are common it’s clearly time that this area received more attention. How can we reduce isolation of rare disease patients? • Social media, especially Facebook groups can reduce isolation of rare disease patients. Online rare disease communities, it seems, really do make a difference in offering support and reducing isolation. If you could tell pharma one thing – what would it be? • Newly diagnosed rare disease patients want pharma to extend to support groups and offer an explanation of the drug development process. • Rare disease patients need safe, effective treatments and they want to work together with pharma. • We want a cure, but we’ll take a treatment. A common theme was that they wanted to work more closely with pharma and wanted more education on how pharma works and, specifically, the drug development process. As a rare disease patient, what gives you hope for the future? • Other inspiring rare disease patients / families. • More funds being allocated for research into rare disease treatments. • Incredible gene therapy advances. • More venues to communicate. • Industry interest, young generation of academic researchers. It seems that rare disease patients are hopeful that therapeutic advances, increased communication with pharma and increased funds in this area are contributing toward the treatments and cures of the future. We’d like to thank those who participated in the chat for sharing their thoughts with us and engaging in this lively debate. You can view the whole conversation on Appeering here or on Storify here. Thanks to the following for participating in our tweet chat! @AmendInfo @CaregivingCafe @SanfordCoRDS @drseisenberg @ProppSolutions @Keratomania @oli_rayner @TheMyositisAssc @cdgsindrome @AANBones @jccolyer @DeanoJW @empoweratm @notsosweets @alanROYGBIV @shefcancermafia @Rebeccacjg @Keratomania @TenderDaily @mvennitti @savingcase @teaminspire @BalancingActTV @GeneticAll_UK @Strangely_T1 @premierresearch @RareDiseases @charitybegin1 @Sarcoid_Network @ElinSilveous @Hannah_Blake2 @CarolineTPSi @KatrinaMoody @Lilly_COI @PCORI @justask @MoistureSeekers @epigiri @SBSFoundation @liftstream @ShuluPotter @katherinekleon. How can rare diseases gain more media attention?